Craving a good, juicy burger? 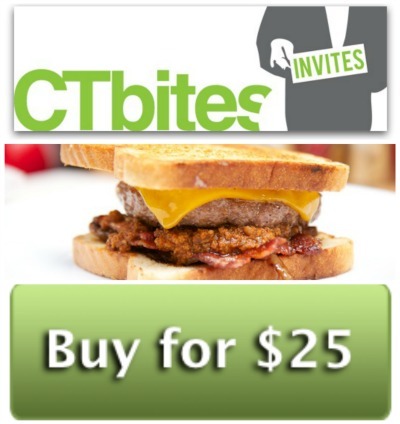 Join fellow CTbites readers and contributors at Burgers, Shakes & Fries in Darien for a CTbites Burger Bash on November 30! The price of admission includes a customized burger, appetizers, fries & sides, as well as dessert. Plus, buy a drink and your second beer, wine or glass of sangria will be on us. Chef and owner Kory Wollins as well as Masters meat purveyor Mark Solasz will also join us, sharing their tips and tricks on making the perfect burger as well as the ingredients to BSF's success. Grab a friend or three, and meet us for our first-ever burger bash!Hope to see you there.